Electrical connections should be in mounted and covered junction boxes. Exposed conductors, even with wire nuts, are open to the elements and movement that can cause degradation, arcing (electricity jumping across an open gap) and fires. Mounted and covered junction boxes prevent movement and will contain arcing, preventing fires. This connection should be evaluated and repaired by a licensed electrician. 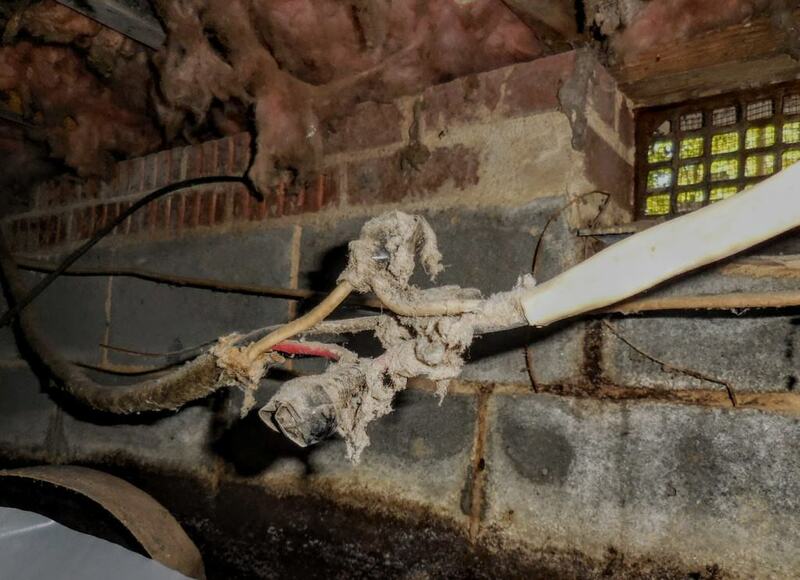 This hazard may be an indication of other dangerous electrical systems and components in the crawlspace and all should be evaluated by a licensed electrician.